Which properties will you own? 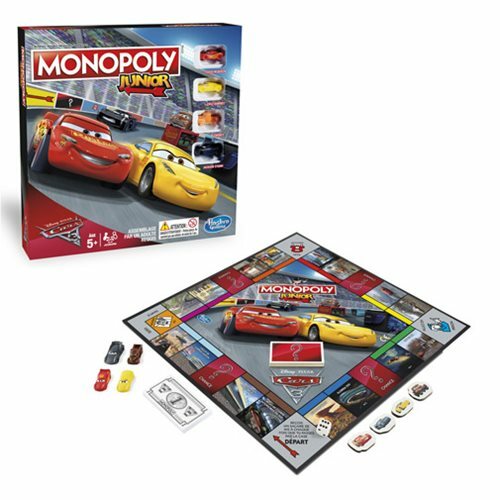 Radiator Springs could be yours with the Cars 3 Monopoly Junior Game. Pixar's car characters can concoct a property party like no other. Move your pieces around the board, build some new construction, and charge rent while making friends and influencing others. Ages 5 and up.